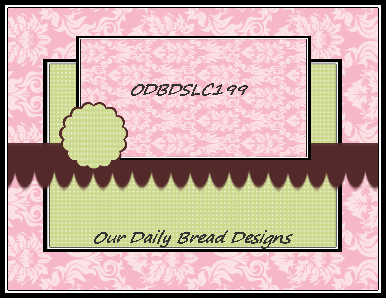 I created this card for the weekly challenge at Our Daily Bread Designs. This week we had to use a sketch to make our cards. 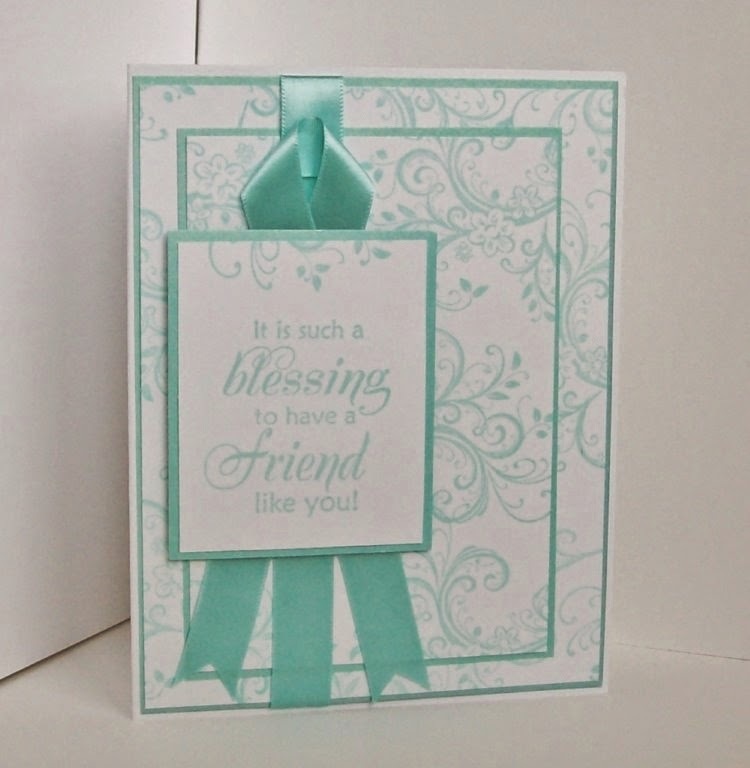 I began by making the stamped background on white cardstock using Paper Inspirations Floral Flourish stamp and seafoam pigment from ColorBox. I matted each layer with seafoam cardstock from DCWV's Home Spun Stack, then stamped the sentiment using Our Daily Bread's Friendship stamp collection. Thanks so much for taking time to visit my blog. It means so much to me. If you want to play with us, there is still a little time left. The deadline is Sunday the 27th at 8pm EST. Here's a copy of the sketch and the address where you can get all the details about playing. Oh, Pamela, another beautiful card using this week's sketch! I love your take on it, and I really LOVE your color! It's one of my favorites! So glad you've joined us once again this week for the ODBD Shining the Light challenge! Hugs, sweet friend! Gorgeous Pamela!! I love that green with the white and your beautiful use of the ribbon! !Thanks for joining us at the ODBD Shining the Light challenge this week!! Oh that's lovely Pamela! Such a beautiful background and beautiful use of ribbon! Someone special is going to love this beauty! Love your take on the sketch too! Thanks for creating with us this week at ODBD! Gorgeous card!! I love the seafoam color you chose.....so soothing and beautiful! Another beautiful card, Pamela. Gorgeous!